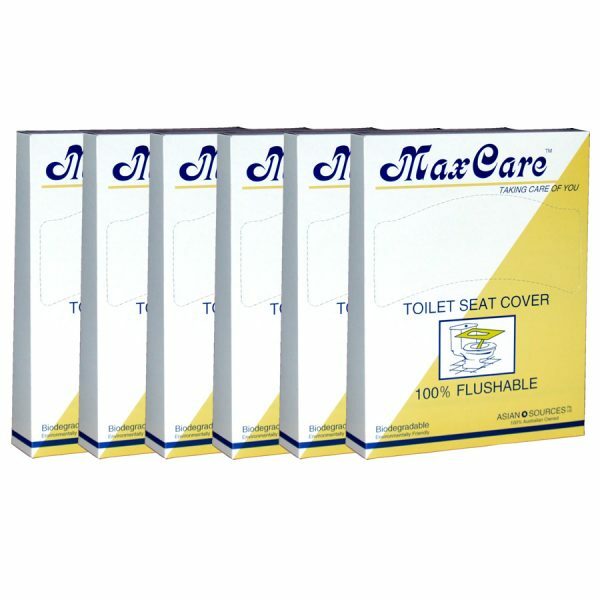 6 packs of 180 pcs MaxCare toilet seat covers, total of 1080pcs. 6 x 180pk of toilet seat covers, a total of 1,080 pcs. This is the ideal sample pack for business owners or small office with 1 – 3 Toilet Cubicles. Trial MaxCare toilet seat covers at your premises. Experience all the benefits of MaxCare toilet seat covers before you committed to it or order the carton and save even more. Made from quality quick-dissolving tissues. It is 100% biodegradable and environment-friendly. The toilet seat covers can be pulled out easily from its own package or from our wall mounted dispenser (sold separately).